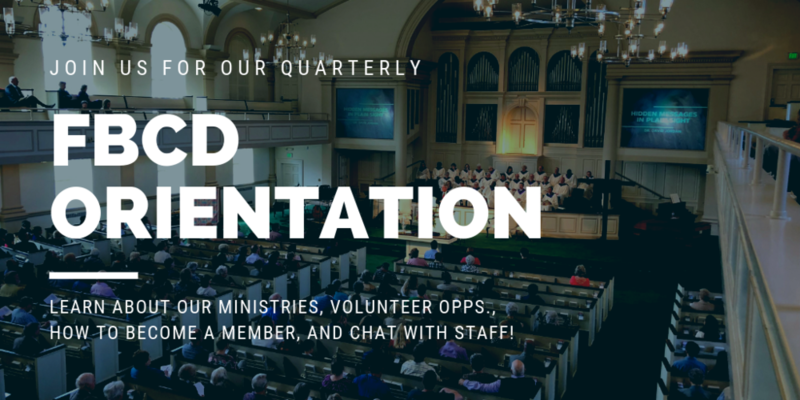 Are you new(er) to FBCD, a new member, or interested in becoming a member? You're invited to a special tour and orientation during the Sunday School hour on April 28! Learn about what makes our faith community unique, the different in-house ministries we have, and the different ways that you can get plugged into life at FBCD. No registration is required. Simply show up in the Narthex of the Sanctuary on April 28.